With the recent boom in popularity for electric and autonomous cars, automakers must quickly shift their strategies to match modern trends. For the past 100 years or so, almost all automakers have been making cars the same way, as the automobile really hasn’t changed all that much since its inception. However, with electric and autonomous cars becoming the norm, that approach must change, as autonomous cars provide a very different experience than the regular car. That’s why, for the BMW Vision NEXT 100 concept car, BMW decided to change its design approach and start with the inside. 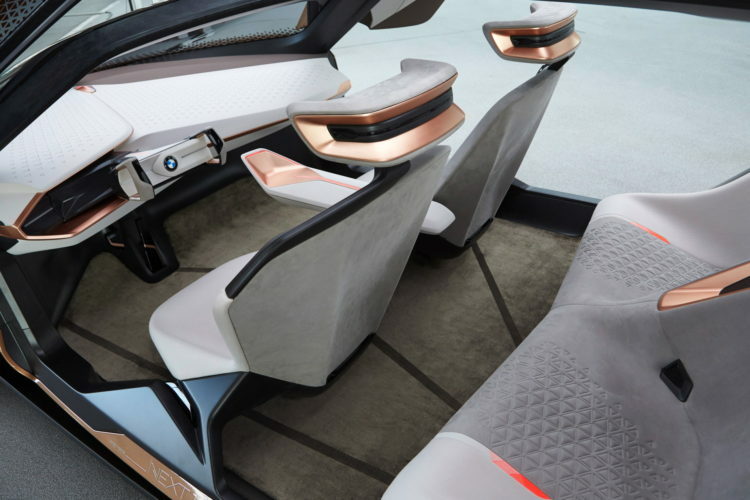 According to BMW, autonomous cars must be designed from the inside out. The reason is that the entire experience is from the inside of the car. While that’s technically true of a normal car as well, it’s even more so for a self-driving car. Without the need for gauges or any of the vehicle information that we’ve relied upon for the past century, the entire cabin of the automobile will change with automation. So the way that the autonomous car will communicate with the driver will be far different than before. 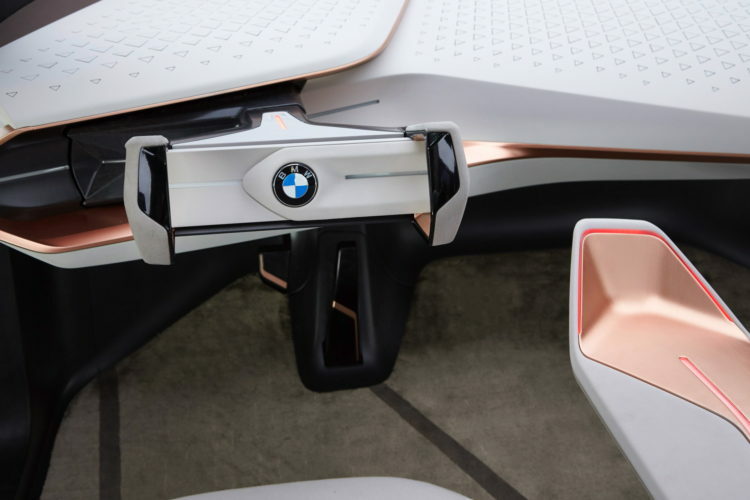 BMW is working on a system it calls Active Geometry, which seems to be a dashboard surface, made up of over 800 individual triangles, that can transform its shape to communicate to the driver. That sounds odd and probably a bit distracting, but BMW is trying to create a system that easily transmits information to the driver, clearly and concisely. 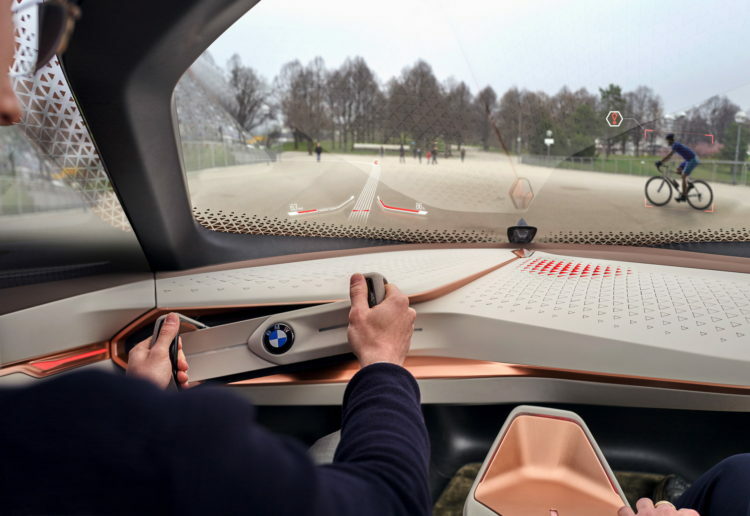 According to BMW’s head of user experience, Holger Hampf, “In a car, it can be dangerous to distract the driver for too long, so we look at products for inspiration, where the precise communication of information is important for safety,”. One of the cool ways that BMW is working on keeping drivers engaged and informed in the future is with the windshield. Instead of a normal head-up display, like what’s available in current BMWs, BMW wants to turn the entire windshield into a HUD. With information all over the screen, in key areas so as to not be distracting, driver’s will be able to see all of the necessary information, including additional and helpful info. For instance, if a pedestrian starts crossing the street in front of the car, it will recognize them and place a digital scquare around them on the windshield, thus notifying the driver. It’s all quite fascinating, because it’s the sort of thing most people don’t think of. Nearly every facet of automotive design will change with the advent of the autonomous car and BMW is at the forefront of that design change.